Start out slow. Flip one lesson, one chapter, one unit, one class…just flip SOMETHING. I have talked to a lot of teachers that say they need to try flipping, but they keep putting it off because they don’t know how to get started. Flipping is going to be outside of your comfort zone when you start, but you can’t be afraid to fail…it will get easier and you’ll figure out what works for you and your students. Don’t make the mistake of thinking the video is the most important thing…it’s not. The most important thing is having a plan for how you will run class now that the lecture portion has been removed (or at least drastically reduced). There is plenty of information out there to get ideas and I suggest you look for some, but the best ideas for your kids will be modifications of other people’s ideas that you come up with after giving it a try. 1. How long will the video be? There are a couple of ideas out there on this concept. Some people suggest no more than a minute per grade level. Some say the same thing, but per age of the kids. Others say never over 10 minutes. I’m not a big fan of rules, but I would suggest the following guidelines: about 5 minutes max for elementary, 5 – 10 minutes for middle school, and under 20 minutes for high school students. I have found 10 – 15 minutes best for my high school kids, but I do have a couple of videos over 20 minutes. I talk to my class when I assign those videos and let them know that I need them to be ready for a long video and plan accordingly. An effective and useful way for many others and me is through an online class management system. There are many of them out there, but the best by far is EDpuzzle (www.edpuzzle.com). I have tried others and none compare. It allows you to embed questions in any video, yours or ones you found online. You can assign due dates for the videos and see how many times the students watched the whole video or specific parts of the video. I have been using EDpuzzle for a year and it has made my flipped classes twice as effective. If you would like to see an example of a video on EDpuzzle, create a free account at www.edpuzzle.com. After signing in click, on EDpuzzle on the left and then search for “Bobby Barber” under videos. This will bring up all of my videos. The ones with me in front of the screen (in the middle of the videos that come up) are the ones I created. 3. How do you make sure every student has access to the videos? This is usually the cause of the most concern among potential flippers. Just because you teach in a low-income district, doesn’t mean you can’t find a way to get your videos to your students. A good number of your kids are going to have internet access. This means you can post your videos on EDpuzzle, YouTube, your teacher website, or some other medium. If students don’t have internet at home, they often have smart phones with Wi-Fi access. If your school has Wi-Fi, have the students download the videos to their phones in class through YouTube, iTunesU, or some other medium and watch the videos at home. You can also put your videos on a USB or DVD for students to take home. I have a couple of students every year that either go to the school library or come to my classroom and use my computer either before or after school or during their lunch or a study hall. Even if students don’t have reliable internet, many have computers and more have DVD players or video game systems which allow them to play USB/DVDs. Finally, if none of these options work for one or more of your students, let them watch the video in class. More than likely, this will be a very small percent of your class. If you let them watch the video on your computer as a small group or have a laptop cart or other option available, you can differentiate instruction to meet the needs of all of your students. Let the ones with the ability to watch the videos at home get started on problems or activities and have the others watch the video and finish their problems at home. You will have to cater this to your class/students, but I believe it will be worth it in the end. 4. What happens when students don’t watch the videos? I believe this is another problem that has different solutions depending on your situation. If a student is capable of watching the video and chooses not to, there must be a consequence. I know some elementary teachers that will make the kids watch the video in class and do worksheets instead of doing the more engaging activities the rest of the class does that day. I also make my students watch the video in class if they didn’t do the homework, and have them jump into whatever everyone else is doing when they are done. They still get a zero for their homework grade, but I like to minimize missed opportunities. Some teachers start class with a group share-out so students that didn’t get to watch the videos get to at least hear a summary from the ones who did in a small group setting. 5. Using Videos vs. Making Your Own: I started out using videos that were already made. There is so much to figure out when getting started flipping that spending the incredible amount of time to create quality videos may not be worth it at first. If you are using a video, you must watch and know every detail of it. You must also know exactly what you want your kids to get out of the next day in class and prepare a lesson that combines the information in the video with your own presentation to accomplish that. Spend your time on lesson planning early. That being said, I have a lot more success and buy-in when students are watching my own videos. For them and many of their parents, it still feels like I’m teaching the class. It took me two years to create my videos, partially because I wasn’t sure flipping was going to work and partially because it takes a long time to create a good video teaching calculus or any other type of math. I create my videos exactly like I would teach a class. There is a camera in front of me with my presentation projected on the board. Many people I know refuse to be in front of a camera and do a screen cast. If you are uncomfortable putting your face/body on camera, I have two bits of advice. 1: get over it…you’re in front of your kids every day. Who cares if it is in the classroom or on their computer? 2: if you absolutely can’t get over it, make your video as interesting as possible. Voicing over a PowerPoint isn’t going to grasp the kids’ attention. Some people put pictures of their students doing problems. Others insert funny or interesting videos throughout the presentation. Whatever you do, ask yourself “Would I be able to watch and learn from this video?” before you expect your students to do it. 6. Classroom organization: I have put a lot of thought and a pretty good amount of research into how I set up my classroom. The most important aspect of my classroom is the whiteboard on every wall. The picture shows my students working at the whiteboards during class one day.Notice that all the students are involved. I have also found that the kids are less worried about making mistakes on the whiteboards because they are able to erase mistakes and wrong answers quickly. With all the research I read on activity vs. learning, I don’t know what I would do without being able to have all my students actively doing their work at the boards every day. I have always enjoyed teaching, but since I started flipping, my love of our profession has grown dramatically. I have been able to cover more material than just what is in our curriculum and dig deeper into all of the math that I teach. My students have been more successful on standardized tests and their confidence and interest in math has grown dramatically, in my opinion. If flipping is something you think your may be interested in trying, then figure out a way to give it a try. If you do, remember that there are no rules for flipping. As you look into what others are doing, find a variation that you think will work for you and adapt it to fit you and your students as you go. If you are looking for help, suggestions, or advice on flipping your class, there are a ton of people who flip and I bet most of them would be happy to help. I certainly would be. For those of you on Twitter, the hash tag #flipclass is great and there is even a chat on Monday nights. 1. alot of my colleagues spend a lot of time going over HW problems at the beginning of class. You even noted it before you changed your style. I have essentially eliminated this. 2. 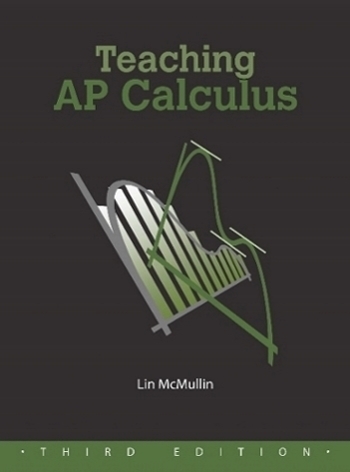 I teach BC calculus–only one class. I have never had anyone drop my class (attrition rate normally exceeds 10-15%). Lecture with many examples for 20-25 minutes. Assign homework–typically only 4-5 problems with an aim that students can complete it in 20 min or so. I aim to get everyone to do every assignment and come very close to achieving this. 4. The lectures are fast…. we cover all of the BC curriculum by the 3rd week in February. If someone in class is having difficulty and needing to ask multiple questions, I normally defer this to the practice problem time in class. 5. The key to the HW is that I have found that they really only need 4-5 problems…and it is such a small assignment, I can quickly scan the homework to see if something needs to be covered again (a good group of students would have had to miss the question..not just one or two). The other thing is that they will have already done 6-8 problems in class on a worksheet that they can refer to. I do make some supplementary videos myself to help with review, especially for difficult concepts that students are struggling with. I really like your idea of getting a bunch of students up to the board to work on problems. I wll definitely try this out next year. The results have proved this works; especially with the finishing so early allowing us a long review period (with very little outside Hw) from late Feb thru May. In three years, over 85% of my students have gotten 5’s. Thanks again for your ideas.